Revlon | Love is on perfume + Colourstay Foundation review / Gee Whiskers! Continuing the theme of Valentine's Day. I thought I would share two Revlon products on my blog. 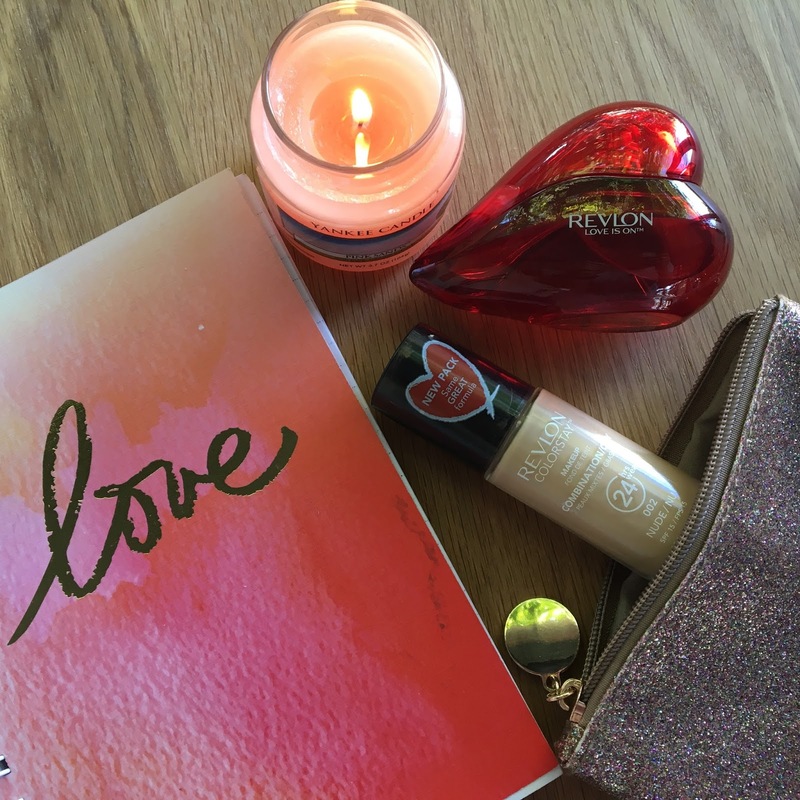 The Revlon Love is On perfume's packaging just screams Valentine's Day so I thought it would be good to finally feature it on my blog. I've also been testing out the Revlon Colorstay foundation for a good few weeks now, which I have really been impressed by. Revlon Love is on perfume - to me this perfume just screams Valentine's Day. With its beautiful heart shaped bottle and the blend of rose, spice and vanilla infused musk I think this is the perfect perfume for this time of the year. I love perfumes - what I like about this one is that it has a really sophisticated scent for its price point. It doesn't last all day, so you'll need to spray a bit on around midday to have a lasting fragrance throughout the day. But overall, it's a really pleasing perfume that can easily turn into an everyday favourite. A 50ml bottle costs R399 which makes it such an affordable gift to give or spoil yourself to. Revlon Colourstay foundation for Combination skin - when it comes to foundations, I like one that allows you to fully control the coverage you achieve. Some days I like to have very translucent looking foundation and other days I wear a bit more to get more coverage, however I still want my skin to look natural. This foundation does a great job of allowing me to choose what I want each day. Another thing I like is that you don't have to have special brushes or makeup sponges to achieve natural looking coverage. I like using my finger tips to work foundation into my skin - my natural body warmth helps to warm up the product which makes it easy to blend into my skin. Another great plus with this foundation is that it last throughout the day. I have dehydrated skin but find that this works well for my skin type, despite being meant for combination skin types. Overall, I am incredibly impressed by this foundation. It has become one that I use on a daily basis and will definitely be replacing it once the bottle is finished. At R299 a bottle this is very reasonable for a foundation that works as well as this one. The foundation comes in a normal / dry skin formulation which is what I think I'll give a try next. Thank you so much for this wonderful post.I really love it.I likes perfumes very much always try to buy new brand products.You are absolutely correct that this beautiful heart shaped bottle and the blend of rose, spice and vanilla infused musk is the perfect perfume for this time of the year.The foundation you have mention is very good product for me.It's really gives natural look.But the perfume is I have never tried out.I will definitely buy this one.